I haven't really been around much anymore. Lost interest in computers really. Still looking for a job since I am out of college. Not much going on in that department, haha. The remainder of my money and time is going into my car. 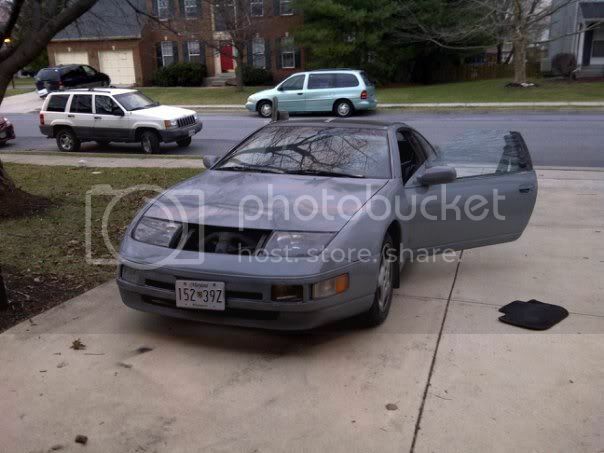 Got a 1991 Nissan 300ZX. She's a beauty but high maintenance. She keeps me busy and isn't costing me that much right now. I know that will change soon. 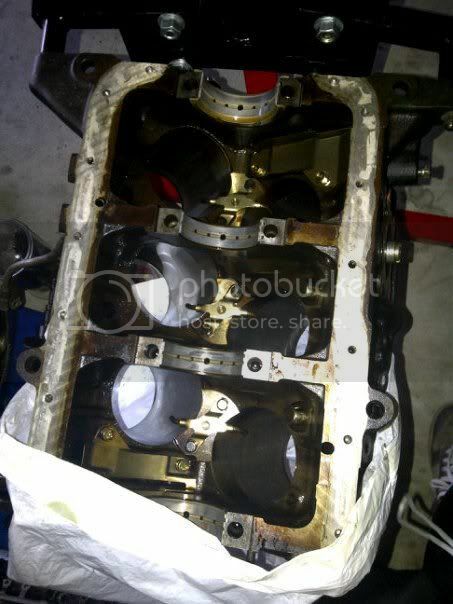 Bought a spare engine from someone for really cheap and building her back up a part at a time. Converting it into a twin turbo. Definitely won't be cheap but someone is buying my current one in the car and that is offsetting the costs a great deal. The VG30DE is not an easy thing to work with. Never have I ever scratched my head in so much confusion. Started hearing back from grad schools. It's a shame that I can't afford any of them right now, haha. Thinking about going back to school for another year so I can get another degree in something more general like psychology. Might make the job hunt a bit easier. How is everyone else doing? I know you guys miss me. Re: How has everyone been? Rohan! Havn't heard from you in ages. I Bought myself a new car also, 2004 VYII Holden Commodore. A Mate had a 300zx, he has owned it for 8 months now, it's been on the road for 1 month and he has worked on it for quite a while and spend a fair bit of cash on it aswell. Hey man, been busy on my end. 2 tests today, and then 5 next week between wednesday and thursday. But them I'm done and heading to GM for the summer! Those little rice burners can be a bit expensive to build, but they are nice light cars. Are you doing all the fab work yourself? Considered trying E85? Not sure if you are plenning to run pumpgas when it's all done, but if you are having issues with compression vs boost, E85 can be your friend. All you need is bigger injectors because it has 30% less power in it. But the advantage... 116 octane equivalent. Can easily run higher compression ratios with boost. Been a while Rohan, nice to see you back posting. 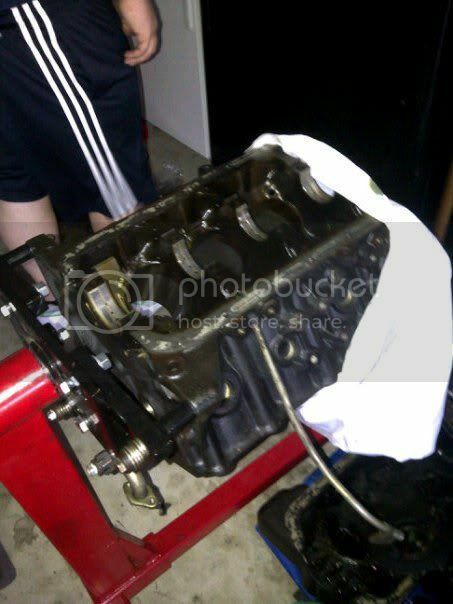 You should throw up some pics of the progress on your engine and car! Welcome back, those 300zx are nice cars! Congratulations! It's an amazing feeling. Did you get the V8 version? I wouldn't exactly call this car light, haha. Mine weighs in at 3200 pounds AFTER a lot of stuff being taken out. I am fabricating everything myself. Whatever I can't do I will pass on to my friends, haha. I'm not too worried about economy. I want to be in the 400hp to wheels range after rebuilding and I plan to keep it running on 93 octane with race fuel whenever I go to the dyno. I'm going to run the car at 8.5:1 compression at 16PSI for a while. 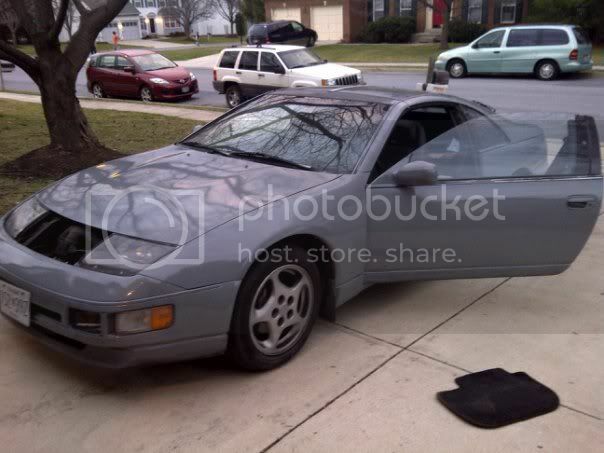 It's going to be my summer car and I plan on buying a 350Z this summer or a Cadillac CTS for the winter. Going to school in New Jersey for a couple of years more. Don't plan on taking this through the snow. I will store it in a heated garage for a few months. Not sure if I will be definitely buying a car yet for the winter just because I don't think I will need it on campus. 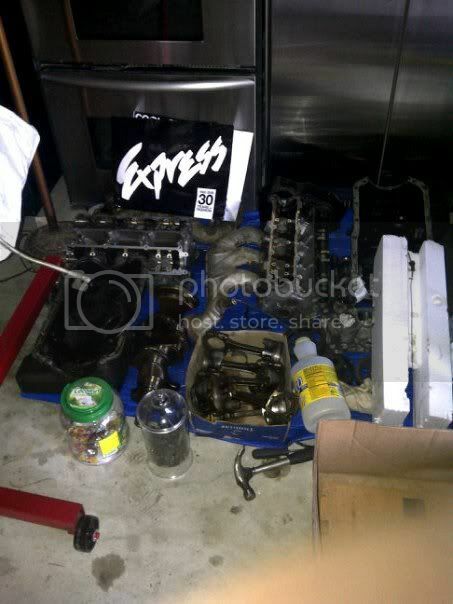 I'm going to be hopefully be running 555CC injectors. If that doesn't work I will stick to the 370CC ones. I have heard you can usually hit the 450 range on 370CC injectors with a good tune. By the way, that paint job cost me $25, haha. It was with a roller. Funny how a lot of people told me it wouldn't look good. She's going to be professionally painted to metallic black with the wheels being painted matte black. it's your life. enjoy it. Nice, I was going to do one of those roller paint jobs but got too lazy. And ended up selling that car anyway. With my current one I think I might keep it the stupid purple bluish color until I have access to a larger air compressor and paint it myself or just sell it when I'm done for a cleaner one. Did you do the roller job yourself? Didn't get drips or runs at all? Those cars are rwd right? 3200lbs, I thought they were lighter, lol. That's more than my stang or equal. Only 200lbs lighter than my truck, lol! Struth! For a roller job that looks quite good! Nah i cant get a V8 (Or anything turboed or supercharged) until im on my full license in 2 years) so i have the V6, still goes alright though. There weren't many drips but paint lines. Lots and lots of wet sanding took care of that. I'm just giving it to someone for the paint job. He's only taking $150 for the entire car so it isn't too bad. It is RWD. My car weighs 3186 pounds stock. I do have the 2+2 edition so it adds a small bit more weight than the two seaters. I only got the 2+2 so I could rip out the back seats and install subs in that space, haha. The twin turbo conversion will help more with the weight and power. Going to delete the HICAS, air condition unit, EGR bypass, etc. It took a very long time. I should have just bought a spray kit, haha. V6 engines are nice, I just don't like the throttle response. Mostly why I am going twin turbo, haha. All right, ladies. My beauty goes in for a professional paint job tomorrow morning. I will be posting pictures of course.